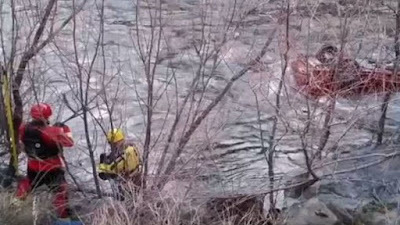 Lord, today we marvel over and celebrate the survival of 28-year-old Michael Finn after being submerged underwater in his vehicle for five hours. We are stunned he survived those hours in an icy California river, having found a pocket of air in his car. We are thankful emergency workers were able to pull out his car in a somewhat prompt fashion, discovering the survivor inside. Lord, we now pray for Finn as he receives medical treatment for his unstable condition. May the “Christmas miracle” continue through a full recovery. In Jesus’ name we pray, amen.